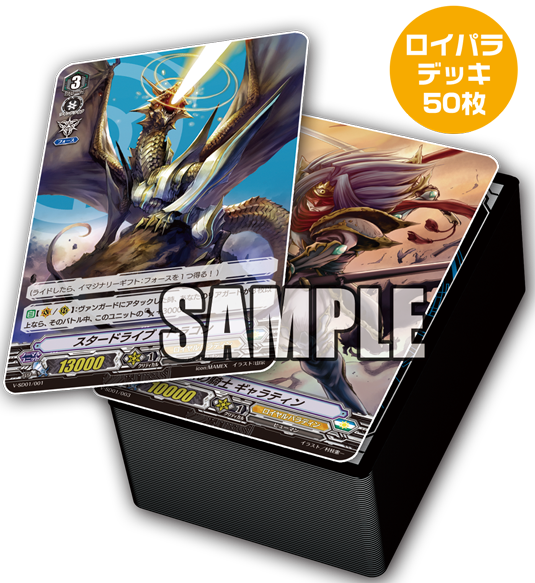 The June issue of Monthly Bushiroad magazine will contain a 50-card Stardrive Dragon Start Deck featuring an alternate artwork Knight of Silence Gallatin, to match the Nehalem alternate artwork Crested deck distributed last month. The June issue will go on store shelves in Japan May 5th, 2018. The Stardrive and Crested Dragon decks consist primarily of alternate versions of cards from the upcoming V-Trial Decks. Although some of these cards are deliberately inferior versions of the TD units, with lower base powers or more costly skills, some like the titular boss cards are arguably better than their Trial Deck counterparts. 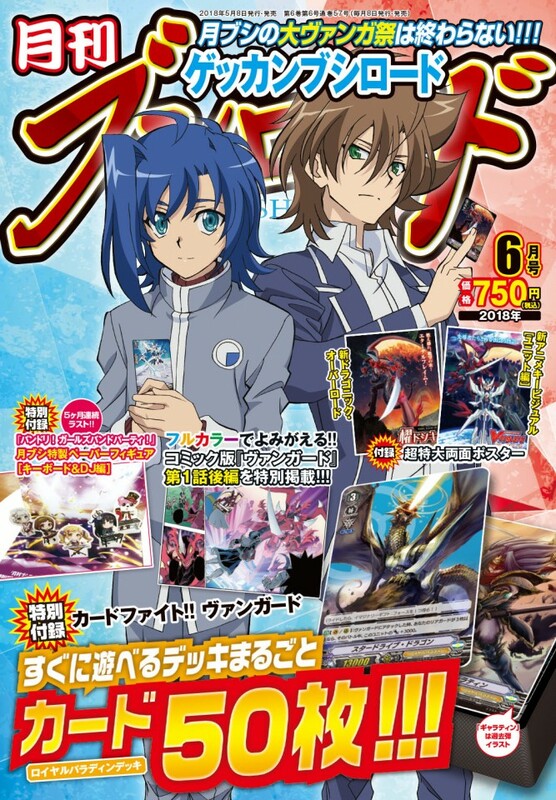 Both the Start Deck and Trial Deck cards are legal for play in Standard format thanks to a special rule, even though SD cards do not have the V-series marker that normally indicates valid Standard cards.